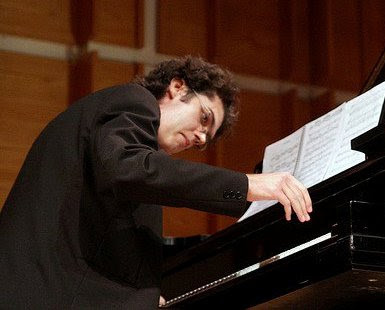 VANCOUVER, BC – As a winner of the 2011 UBC Concerto Competition, Romanian pianist Bogdan Dulu will have his Canadian debut with the UBC Symphony Orchestra on Friday the 4th of March, performing Maurice Ravel’s Piano Concerto in G. For this special event, Bogdan Dulu will play on a state-of-the-art $180,000 Fazioli piano, on loan through the support of showcasepianos.com. Fazioli pianos are exclusively made by hand in Sacile, Italy. The UBC Symphony Orchestra will present a new work by UBC Composition student, Eileen Padget, entitled Waltz After Dark, Ravel’s Piano Concerto in G Major and Beethoven’s impressive Symphony No 5 in c minor, Op. 67. The concert, which also features guest conductor Roman Brogli-Sacher, will be at 8pm on Friday the 4th of March at UBC’s Chan Centre for the Performing Arts.